Filton Villa je novoizgrađena moderna kuća za odmor smještena u malom mjestu Markovići nedaleko slikovitog srednjevjekovnog gradića Vižinada u kojem nalazimo trgovinu, caffe bar, bankomat i početnu stanicu turističkog vlakića Parenzana, dok se pizzeria i tipična konoba nalaze na svega 4 km od kuće. Na samo nekoliko koraka od kuće nalazi se vinska cesta i cesta maslinovog ulja, a na 16 km udaljenosti nalazi se turističko naselje Lanterna koja nudi lijepe i uređene šljunčane i stjenovite plaže. Za ljubitelje biciklizma, odmah ispred kuće prolazi uređena biciklističko/pješačka staza Parenzana koja je do početka 20. stoljeća bila jedna od glavnih željezničkih pruga Istre i protezala se kroz Kopar sve do Trsta. Filton Villa svojim gostima na potpuno ograđenoj okućnici površine 1960 m² nudi bazen površine 65 m² sa masažnom klupom i dodatnih 15 m² dječjeg odjeljka, natkrivenu potpuno opremljenu ljetnu kuhinju sa LCD televizorom te 4 parkirna mjesta od kojih 2 natkrivena. 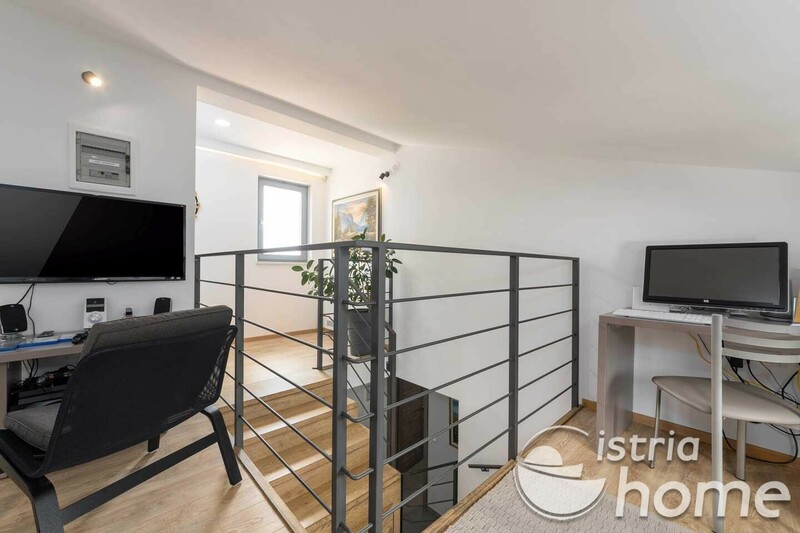 Kuća za odmor za 10 osoba, ukupne površine 390 m² sastoji se od dva kompletno klimatizirana objekta. Glavna kuća sastoji se od prizemlja sa potpuno opremljenom kuhinjom sa blagovaonicom, prostranim dnevnim boravkom sa izlazom na terasu, prostorom za opuštanje sa infracrvenom saunom i tušem, dvije dvokrevetne spavaće sobe, svaka sa izlazom na terasu i vlastitim tuš/WC, zaseban WC u hodniku te velika igraonica za djecu sa TV-om, PS4 i malim WC-om. Na prvom katu nalaze se tri dvokrevetne spavaće sobe, svaka sa vlastitim tuš/WC, te radni prostor sa kompjutorom. U manjem objektu pored glavne kuće nalazi se spomenuta ljetna kuhinja, te prostorija sa spravama za fitnes i WC. We had a wonderful time in Filton villa and will definitely come back. The staff is very professional. Thank you Toni. Incredible ! Wonderful ! Amazing ! The Filton Villa is an amazing place to visit and spend time in Croatia. The owners Toni and Philip greeted us as we checked in and were incredibly helpful throughout our stay. 4 out of the 5 bedrooms had their individual ensuite bathrooms. The sauna room as well had a shower and lounge chairs to relax. The pool was beautifully laid out with many deck lounge chairs for a large group. The outdoor kitchen off the pool area had a full fridge , stove, dishwasher and eating area where you could relax after a pool day. In addition , it contained plastic wine and other glasses which would allow you to enjoy a drink by the pool with no worries about any glass breakage. Off the outdoor kitchen was a work out area as well as a bathroom for quick access from the pool area. The interior of the house itself was immaculate with a full modern kitchen and dishwasher in addition to a large wrap around sofa in the living room and a kid's play area with games consoles, etc. The upstairs also had a small work area with a computer and a massage chair ! Toni and Philip arranged a chef to come in and cook a world class meal for my family and my local cousins. The food was spectacular and lots of leftovers ! I would recommend this for anyone staying especially the truffle pasta and the chevapcici which are both local Croatian delicacies. As well, I did go into the city to catch the Parenzana for a very nice 30km bike ride. As it is an old railway track, there are few large inclines so this makes for a very enjoyable ride. Antonio's was a recommended restaurant locally that did not disappoint. We visited Novigrad, Buje, my mother's hometown of Lozari and other local wineries. The Filton villa is not a place to be missed. Absolutely perfect ! Absolutely outstanding and we hope to return soon !! 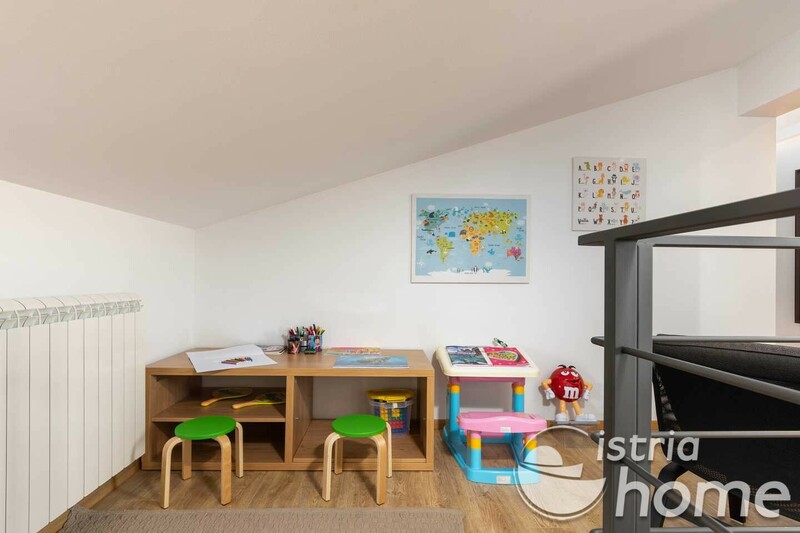 Wir, zwei Familien mit kleinen Kindern, haben zwei wunderschöne Urlaubswochen in der Villa Fillton genossen. Das Haus ist einfach ein Traum, Luxus pur. Der Garten wunderschön mit Liebe angelegt und gepflegt. Der Pool war herrlich, auch für unsere Kinder 2 bis 8 Jahre perfekt, mit dem extra Kinderbereich. Was uns besonders gut gefallen hat war auch die super ausgestattete Sommerküche mit allem was das Herz begehrt. Die Freundlichkeit der Gastgeberfamilie und die leckeren Pfannkuchen die sie für uns gemacht hatten waren einfach super. Alles in allem perfekt, wir würden sehr gerne wieder kommen. Danke! As a family of 7 including 3 children and 2 grandparents, Filton Villa worked perfectly for us. The photos are great but don’t quite do the reality justice - we were quite simply in awe of the space and luxury on arrival, a feeling which didn’t fade during the week. The villa had tons of space for all of us to chill out separately, but also great communal space to gather, cook and eat together. Not to mention the great pool area of course... Toni and his family as hosts (in a nearby property) were attentive to our needs and very helpful with local knowledge. Little gestures from leaving paper and crayons etc in the games room to dropping off fresh produce from their garden to escorting us to a local winery were all much appreciated. We also booked a catered dinner in the villa with a traditional Istrian menu - most important advice is not to eat much during the day beforehand!! It was delicious. 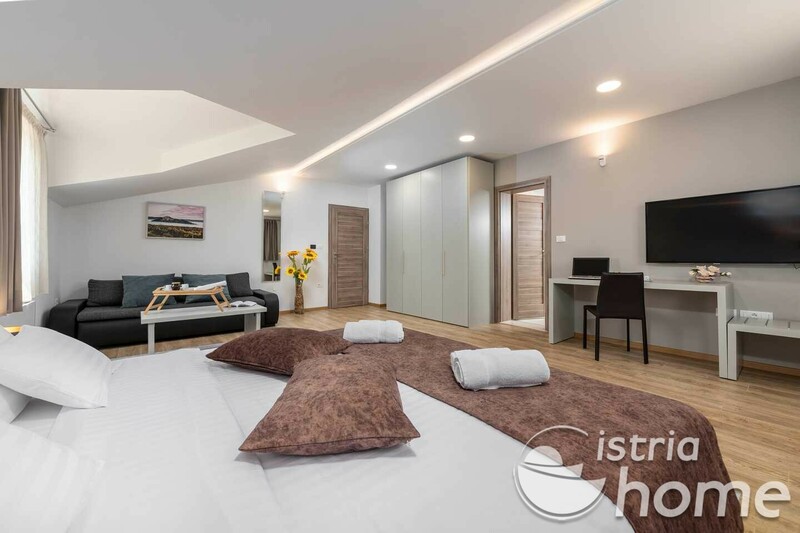 All in all highly recommended as a luxury stay to both relax and enjoy as a family/group as well as using as a base to discover the beautiful region of Istria. We spent a perfect relaxing family holiday at Filton Villa. Newly built villa close to several wineries at Istrian countryside is in pristine condition and provided great comfort for our entourage of 9 people. The only 'problem' we had was that our kids were enjoying the villa amenities and especially the pool so much they did not want to leave the Villa for sight-seeing the nearby cities. Check-in and check-out were very smooth, and the communications with the house host was very good, and the response to our request was immediate, with a great service attitude. Definitely a 5-star experience!